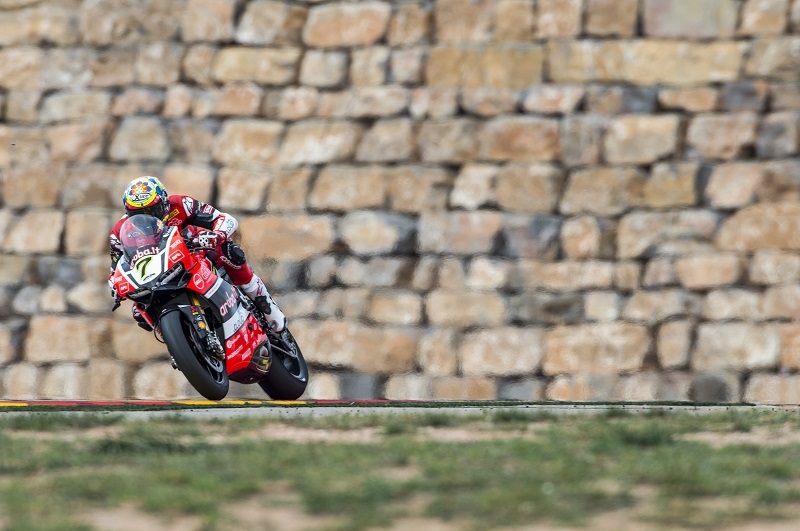 After scoring his first win of the 2016 season yesterday, Chaz Davies did the double in Aragon. Third at the start, the Welshman took the lead during lap two and once again galloped away from the opponents, posting the race best lap in the meantime with a 1:51.053. Davide Giugliano, on the other hand, had a bittersweet race. The Italian struggled with grip once again and was slowed down by a temporary technical problem during lap seven, when he moved from fifth to eighth position, but still managed to recover ground and finish strong. At the end of Round 03, Davies and Giugliano are respectively in second (105 points) and fifth (56 points) place in the championship, while Ducati is second in the Manufacturer rankings with 115 points. The Aruba.it Racing – Ducati team will be back on track in two weeks’ time in Assen for the fourth round of the season.